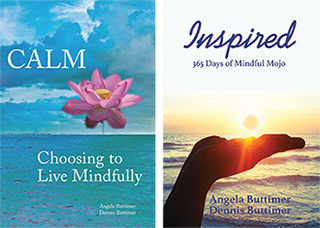 Join Angela and Dennis Buttimer for a mindfulness and well-being retreat held at Elohee Retreat Center (near Helen, Georgia) in which we will practice meditation, mindful walking, mindful eating, mindful yoga, guided journal writing, and emotional freedom technique (tapping). We will also practice Noble Silence for much of the time. There will be various dharma talks and other activities to deepen your practice. There will also be free time built into the schedule for reading, journaling, hiking, etc. The weekend will be from 3pm Friday, April 29 to 2pm Sunday, May 1st. The cost is $495 (or $425 each if part of a couple) and will include everything: delicious food, drinks, snacks, lodging, and programming, hot springs, hiking trails, waterfalls, fire pit, etc. Rooms are shared with either a significant other, friend or another single retreatant. Email us at solutions@acmwb.com to register! Only a few spaces left!